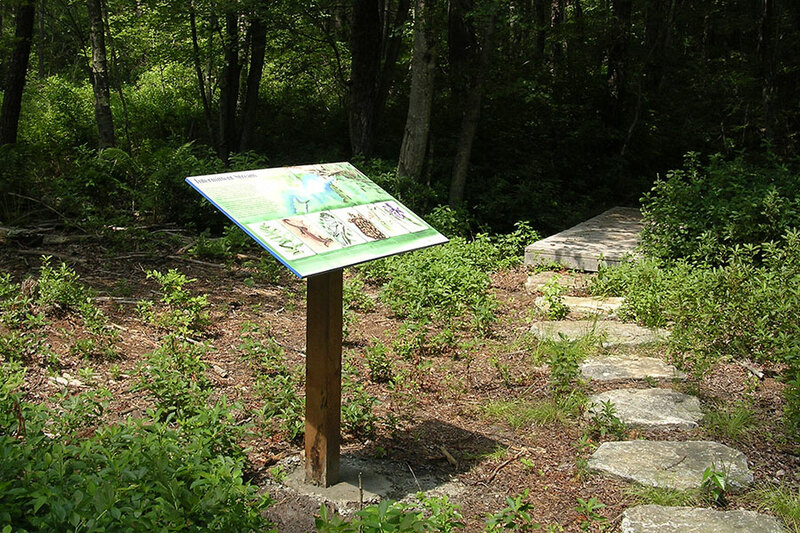 development of a nature trail and educational interpretive signage for their Browning Woods property. The site is the location of the historic Browning Farm and the ruins of the farmhouse cellar hole, stone walls and animal pens are still extant. 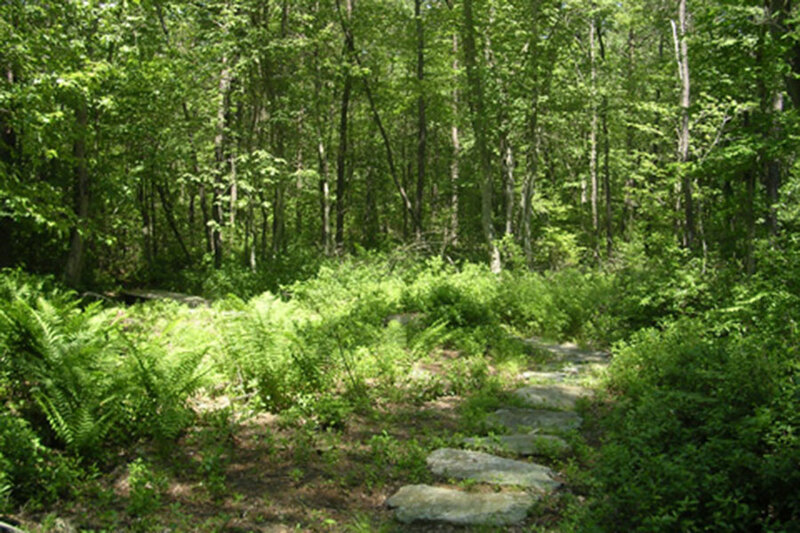 The site also includes pinewoods, wetlands and the remnants of another historic 18th century farmstead. 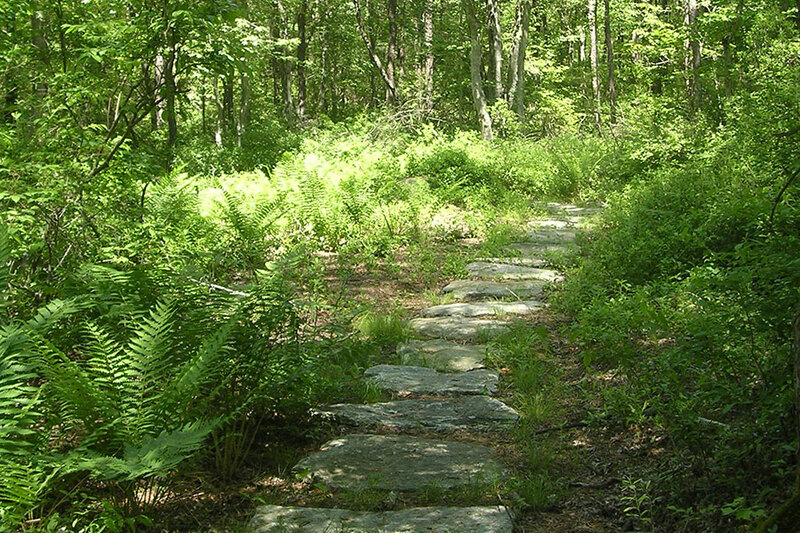 The proposed trail traverses varied terrain in a two-mile loop bringing visitors from the trailhead through the many historic and natural landscape features of the property. natural history, wildlife and ecology of the area. Landscape Elements LLC served as project coordinator and designer for the trail layout and sign framing and mounting. Through multiple site visits with volunteers from the Land Trust, potential trail routes were walked, the final trail route was selected and then mapped via GPS and then the route was cleared. 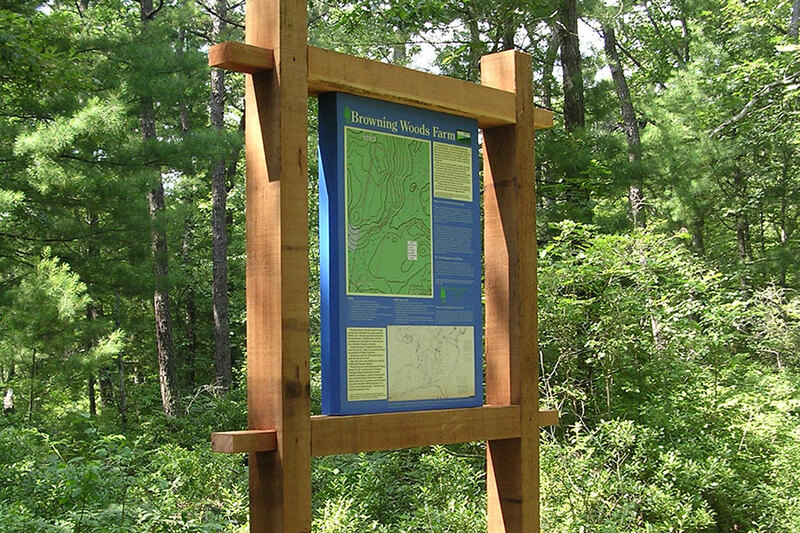 The project required careful integration of the new trail and sign elements into the landscape so that natural features and resources were minimally impacted.